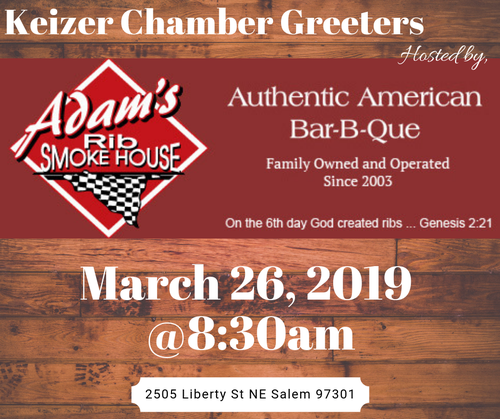 Our host for Greeters on March 26th will be Adam's Rib Smokehouse. A tasty morning at Adam's Rib Smokehouse with a full breakfast! Join us to network with fellow members and guests and be sure to bring plenty of business cards and a door prize for added exposure.